This beautiful 10" x 10" soft cover book was originally produced to help combat plans for a huge copper mine in the Tatshenshini Corridor. In concert with this cause, three dozen of some of the continent's best outdoor photographers and over a dozen political and environmental leaders have unselfishly donated their images and words to the production of this book. A good visual preview of the river trip is found in the photographs. Personal testaments provided by Vice President Al Gore; Mike Harcourt, Premier of British Columbia; Pierre Trudeau, and many other well known individuals. Full cover photos on every page. Summer Wild Productions; Westcliffe Publishers, 1993. 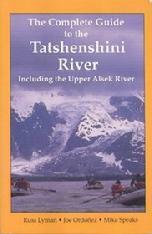 Authors Lyman, Speaks, and Ord��ez distill their combined experience of over 30 years, with over 100 trips down the Tatshenshini and Alsek Rivers, into this interesting and informative guide. Includes: trip logistics, geology and natural history, native and historical information, 21 maps, and 45 photos and illustrations. Drawn to scale directly from topographic maps, the entire Alsek River was reduced to fit on one sheet. The Tatshenshini River was oriented to also fit in its entirety on the reverse side, providing convenient reference to both rivers. 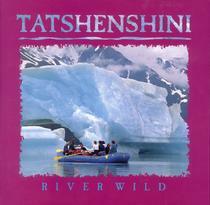 Written for the most part as a travel aid to private boaters, this little book has a lot of useful information about the flora and fauna along the Tatshenshini and Alsek rivers. Sections in the book include Modern History, Shaping the Land, Mammals, Tracks, Birds, Amphibians, Fish, Insects, Butterflies and Moths, Flowering Plants, Shrubs and Trees, Wildlife Viewing, and various checklists. Publisher, Sierra Club of Canada, 1996. Black and white, 5-1/2" x 8" (pamphlet style). An illustrated glossary and dozens of spectacular full- color photographs clearly explain the exotic vocabulary of glacier Anatomy and reveal the wonder of these massive rivers of ice. 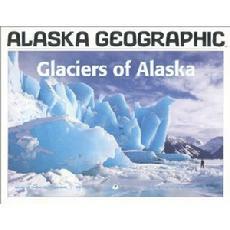 Glaciers of Alaska includes an area-by-area survey of the states glaciers from Rhode Island-sized Malaspina to diminutive Brooks Range cirque glaciers, and also ponders the future health of Alaska�s living ice masses. 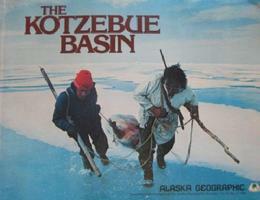 This edition of Alaska Geographic provides information about one of the earth�s most unusual features: the �living� ice masses so prevalent in Alaska. 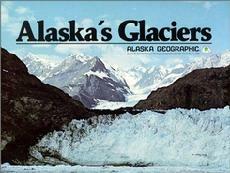 Learn the anatomy of a glacier, types of glaciers, all about Ice Age Alaska, and more. 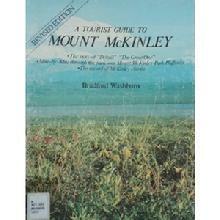 Beautifully illustrated with color photos and diagrams. Ensconced in an upper corner of southeastern Alaska, the Chilkat Valley blends climate, flora, and fauna of the coastal rain forest with that of the great interior land mass of Canada�s Yukon Territory and a narrow strip of British Columbia. This is the southernmost nesting area for trumpeter swan in Alaska, the northernmost range of the snowberry shrub. This valley is the home of one of the most intensive concentrations of bald eagles in the world. Here in fabulous full-color photographs and quality text is the human and natural history of the area around Haines, Alaska. This area of northwest Alaska is a very unique section of the state. This volume of Alaska Geographic explores village life, hunting and fishing, native culture and more. 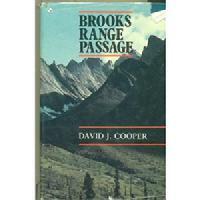 Cooper describes his 37 days of solitary trekking through Northern Alaska�s remote and awesome Brooks range. Joys, sorrows, hardships. Very absorbing. Hard cover. 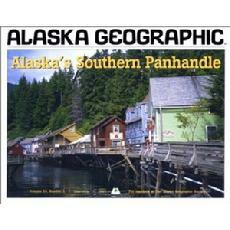 This book takes the reader on a guided tour through the park and around North America�s highest peak, Denali. Soft cover, 8 1⁄2 " x 11," 80 pages. 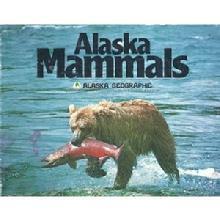 Every mammal found in Alaska is included in this tasteful edition of Alaska Geographic. 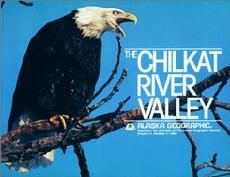 Filled with facts, figures and personal stories of encounters with Alaska�s wildlife. There are 121 excellent photographs. This popular field guide features both large color photos and detailed line drawings of each of the 160 species described. A brightly illustrated and readable field guide that makes identification easy. Soft cover, 128 color photos, 96 pages. 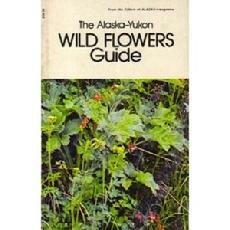 A field guide to wild edibles with their seasons and cooking tips. Soft cover, 41 color photos, 88 pages. In this lively field guide to Southeast Alaska�s natural world, you�ll find everything from bears to banana slugs, mountains to murrelets. The unique features of this book gives in depth information about how wildlife coexists with the environment as well as detailed discussions of mammals, birds, fish, invertebrates, fungi, plants. 64 color photographs of species and habitats. With more than 130 beautiful color photographs and an illuminating text, Visions of the North celebrates the lush landscape of the Pacific Northwest and the rich artistic heritage of its native people. 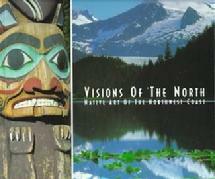 From totem poles and ceremonial masks to long houses and carved dugout canoes, the objects show-cased in Visions of the North offer designers, collectors, and travelers to the Pacific Northwest a compelling look at a timeless tradition. 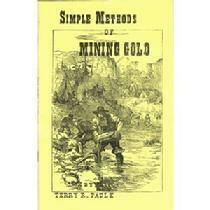 A simple book on finding and mining placer gold. In it you will find the things you need to know about gold mining equipment and techniques. Regions known in the United States as placer gold areas are discussed.